There has been so much going on recently with the Campaign and the fight to protect the Boundary Waters Canoe Area Wilderness that it can be hard to keep up. Because of this, I wanted to take a few minutes and give everyone a quick update on what’s happening now and how you can help. As you know, the Campaign to Save the Boundary Waters works to permanently protect the Boundary Waters from sulfide-ore copper mining. Thanks to the hard work of the Campaign, in January 2017, the Forest Service and the U.S. Bureau of Land Management (BLM) launched a study to determine whether sulfide-ore copper mining in the watershed of the Boundary Waters would create a risk to the Boundary Waters and other Superior National Forest lands. The study, called an Environmental Impact Statement (EIS), is the process provided under federal law to guide a decision by the Secretary of the Interior on whether public lands should be off-limits to mining for twenty years. Twenty years is the maximum period allowed by law unless Congress or the President act to permanently ban mining on these public lands. Over 126,000 Americans have been involved in the study so far – a record for any EIS in Minnesota history – by providing comments at three listening sessions and in writing, to suggest issues that should be studied. By law, the two-year study will examine the potential environmental, economic and social impacts of sulfide-ore copper mining. Some politicians and the mining industry, including the giant Chilean mining company Antofagasta, have mounted a grave threat to the study and the rights of all Americans. 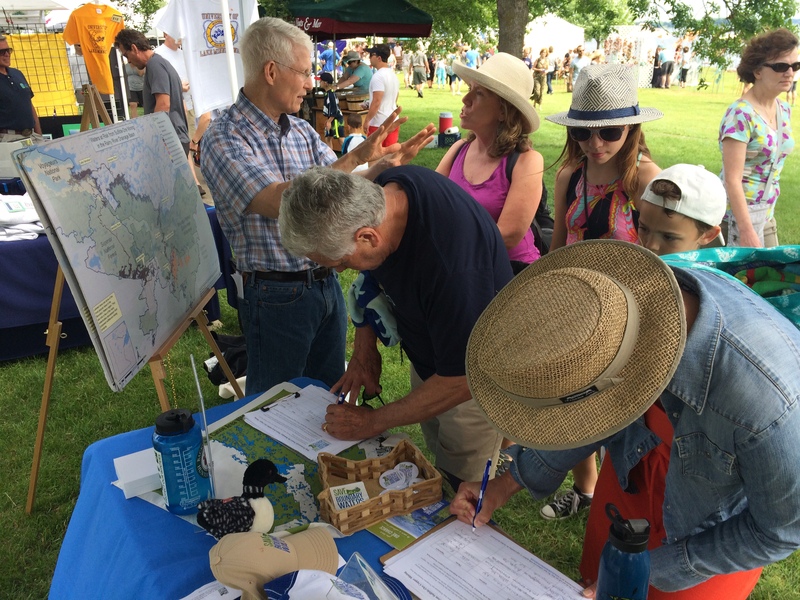 The industry and these politicians – led by Congressmen Rick Nolan and Tom Emmer – don’t think that Americans should have a say in what happens to the Boundary Waters and the Superior National Forest. 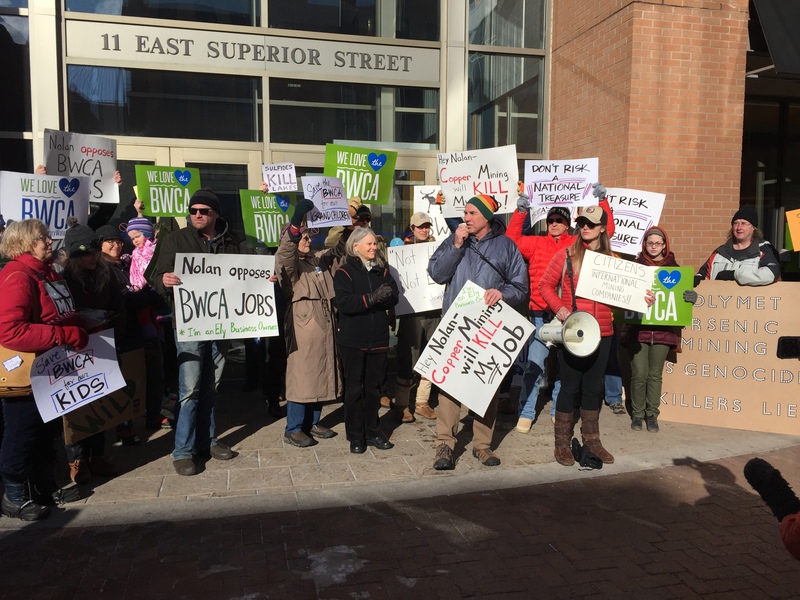 They want Antofagasta, the owner of Twin Metals, to receive federal mineral leases so it can build a massive mine on vulnerable federal lands next to, and along rivers and lakes that flow directly into, the Boundary Waters. They want to end the study and prohibit any consideration of the Boundary Waters and the effects of pollution, among other things, before giving away our public lands. Specifically, in the past two months, Congressmen Nolan and Emmer have taken two actions that, if successful, could lead to major and permanent pollution of the Boundary Waters. At the same time, Congresswoman Betty McCollum and other leaders have courageously fought against the efforts to degrade America’s most popular Wilderness. On September 6, 2017, Congressmen Nolan and Emmer added an 11th hour amendment to the omnibus funding bill in the U.S. House of Representatives that would prohibit spending federal dollars in the 2017-2018 federal budget on the study. The omnibus bill funds the entire federal government. Both Congresswoman McCollum and Congressman Paulsen rose in objection to the amendment and submitted testimony into the Congressional Record. With just 24 hours notice before a vote on this treacherous amendment, hundreds of you called the offices of your Representative to oppose the amendment. Nonetheless, the amendment passed on a voice vote as a part of a bundled group of amendments. The omnibus bill won’t likely be considered for a vote until December. We must all work very hard to make sure that this amendment does not get in the final bill, and that Congress does not de-fund the study and deprive Americans of their right to determine the future of the Boundary Waters. In July, Congressman Emmer floated a draft bill for discussion that would grant Antofagasta the right to build its massive mine on Superior National Forest lands in the Boundary Waters watershed. This bill would effectively amend four longstanding bedrock conservation laws for the benefit of one mining company with no ties to Minnesota and with a record of water quality violations, labor strife, and close dealings with politicians. If it became law, Emmer’s bill would block public comment and eliminate review of the environmental, economic or social harm that would likely be the result of this brazen give-away of our public land. To fight these threats, it is critical that we come together and continue to support the Forest Service and the BLM in conducting the two-year study. We must demand a comprehensive and credible review of the ecosystem and the abysmal record of sulfide-ore copper mines, which always pollute waters. We must insist that NO risk to water quality is acceptable. The threat to the Boundary Waters, and the priceless downstream waters of Quetico Provincial Park and Voyageurs National Park, is very real. It is incumbent on all of us to work together and urge elected officials to fight for the Boundary Waters. We must ensure that the great Boundary Waters region is protected for all people for all time. The time to act is now! Becky Rom, a retired attorney, is a third generation resident of Ely. She is the daughter of Bill Rom, who owned and operated Ely-based Canoe Country Outfitters for 30 years. Becky worked in the family business and learned at an early age the importance of wild country. She first worked on wilderness preservation when she was a seventh-grader, engaging in public debates on the merits of the bill that became the Wilderness Act. 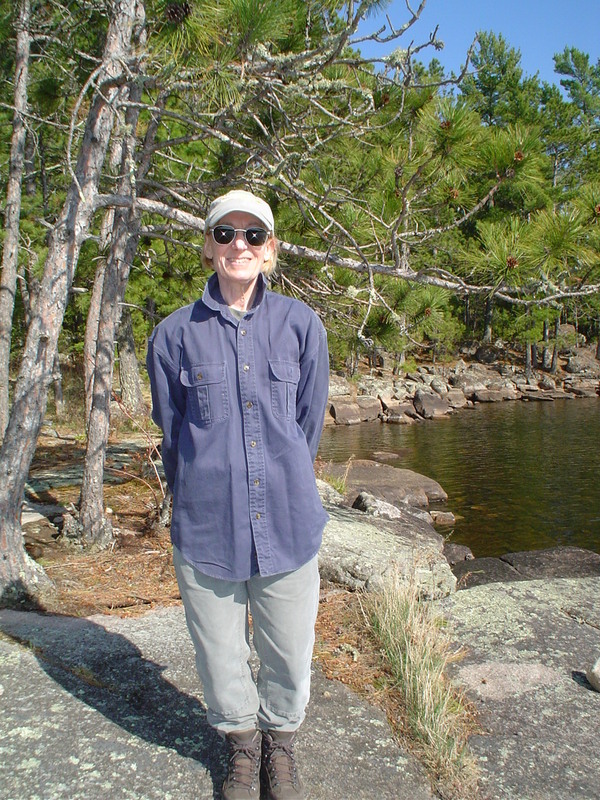 For the past 40 years Becky has worked as a citizen activist on wilderness preservation throughout the United States but she continues to be drawn back home to the Boundary Waters. 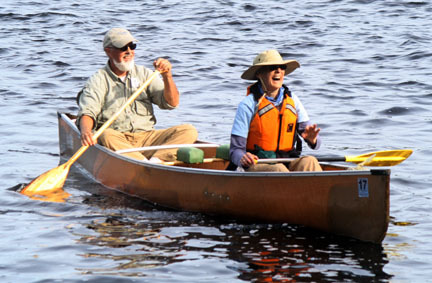 The Campaign to Save the Boundary Waters is her fourth national campaign to protect the area. Volunteer Spotlight is a blog series where we feature our outstanding Sustainable Ely volunteers. Learn why these dedicated volunteers share their time with the Campaign to Save the Boundary Waters, how the Wilderness has impacted their lives and why they choose to call Ely, Minnesota, their home. Long-time Sustainable Ely volunteer Deborah Kleese shares her story. Before arriving in Ely, I spent about 28 years in the Hudson Valley of New York state. 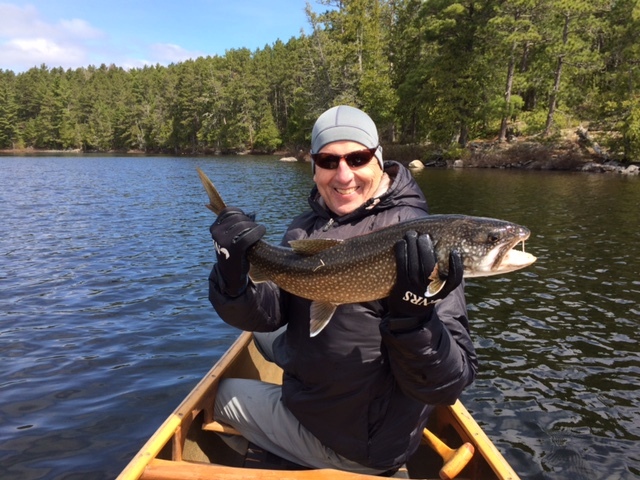 As my husband Dave and I planned our retirement, we concluded that the place we wanted to be was Ely--in close proximity to the Boundary Waters and Quetico Provincial Park. Canoeing is an important part of our lives, and there is no better place to canoe than in this vast, shared Wilderness between the United States and Canada. 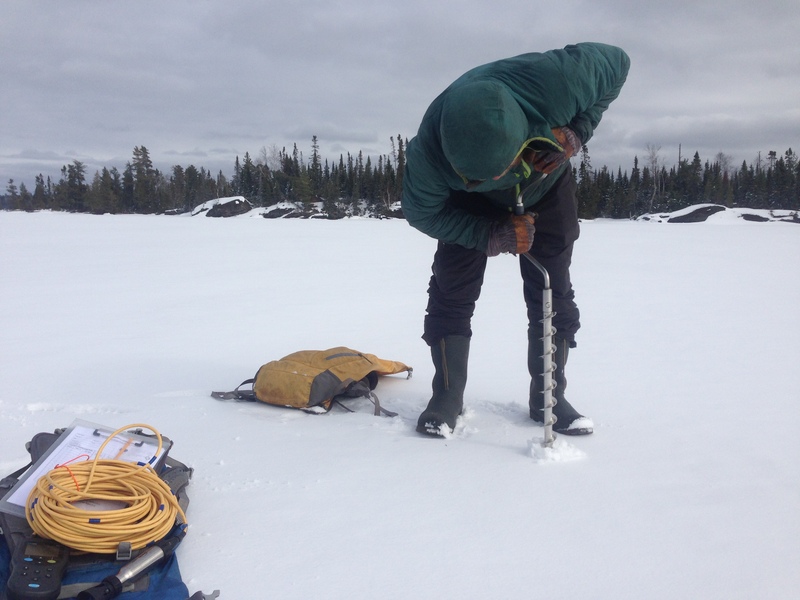 We spend time year-round in the Boundary Waters. 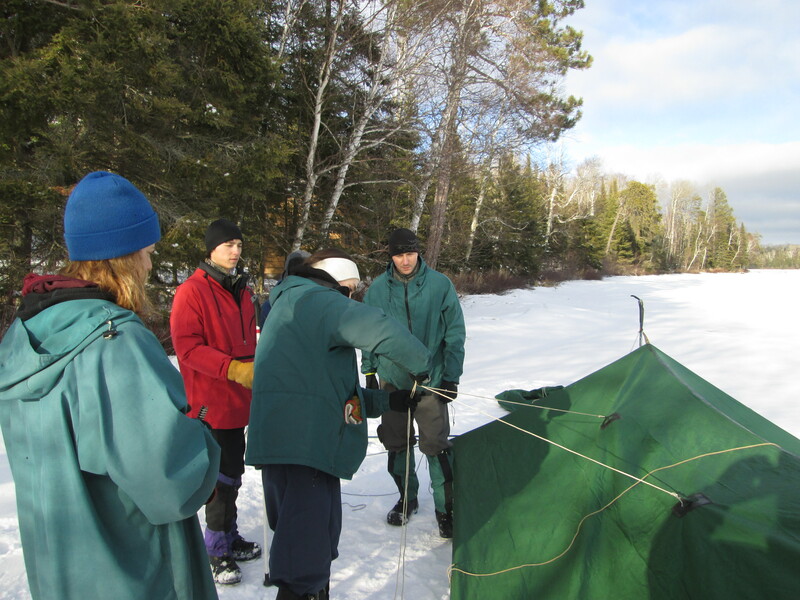 We hike the trails in spring, fall and summer; we fish and ski the frozen lakes in winter; and take many day-trips to the various Boundary Waters lakes during summer. We also take at least one two-week trip that typically spans both the Boundary Waters and Quetico Provincial Park. Prior to moving to Ely, I was a college professor teaching psychology, and my particular area of expertise was environmental psychology. As an environmental psychologist, I was interested in the transactions between people and the biophysical world. By “transactions,” I refer to human behavior, experience and the physical environment as a reciprocal unit. Humans, through thoughts, feelings and behaviors, intentionally or unintentionally change the environment and are, in turn, changed by the places we inhabit. In this context, place matters, and I can say that I have been profoundly changed by the Quetico-Superior ecosystem. Gradually, through years of traveling through this waterway, I am beginning to understand how it came to be and how it has changed. I appreciate its complexity and I am constantly surprised by what it reveals. I am beginning to understand its human history and how the various waves of human habitation have informed and transformed the region. Because place matters, places are not interchangeable. The Superior-Quetico region offers unique and special features that make it one of the best places on earth. Minnesota is fortunate to have one of the best freshwater environments on the planet, home to part of Lake Superior as well as the Boundary Waters. The human history is therefore written on these waters, and part of my interest in this place is in reading the chronicles of those who traveled from Lake Superior through waters now named the Boundary Waters and Quetico Provincial Park and then on to the Canadian waters to the west. In reading the journals of early surveyors and explorers, I recognize many places and empathize with their experiences, (not only with their accounts of impressive falls and rock faces, but also with their exasperation with mosquitoes, storms and tedious portages). Every day I can briefly pause and consider what a privilege it is to live here, in what is so aptly marked on early maps as the “region of rocks and water." We couldn't be more thankful for the hardwork and dedication that Deborah Kleese has given to Sustainable Ely and the entire Ely community. Check out how to join Deborah and others as a Sustainable Ely volunteer! Or sign up to be a volunteer for the Campaign to Save the Boundary Waters. Dodd Cosgrove is a board member for the Campaign. Cosgrove first paddled the Boundary Waters in 1964, one month before it gained official designation as a Wilderness area. 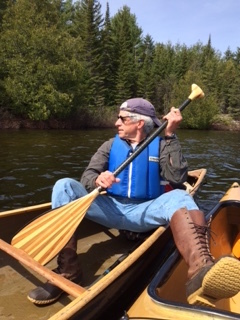 Retired after 30 years working as a Chartered Financial Analyst, he has served on multiple boards, including The Quetico-Superior Foundation and Friends of the Boundary Waters Wilderness, at times serving as treasurer for both. For the last 19 years he and his family have owned a cabin on Little Long Lake and all of his children have been campers at a YMCA camp near the Boundary Waters. Duluth has been called the “gateway to the Boundary Waters” and holds a special place in the hearts of many who pass through on summer trips. Its continued growth in recent years is tied to the city's proximity to the Wilderness and recognition of the value of living in an outdoors-friendly community. We took a look at how all that is guiding Duluth forward and the people who are making this playground their home. In 2015, the most recent research data available, 6.7 million people visited Duluth, nearly doubling the 3.5 million annual visitors the city cited previously (the 2015 data represents the first comprehensive study in years). Now, a burst of new outdoors companies, restaurants and other businesses are cropping up to take advantage of the rising demand. Breaching Thompson Hill on I-35 North, visitors are met with an impressive view of Lake Superior and the iconic lift bridge, the skyline and the industry that made Duluth possible. Signs of its industrial roots are everywhere: massive taconite piles, rail lines and in the harbor, 1,000-foot-long ocean-going freight ships, taking resources all over the world. Duluth--home to clean water, old industries and easy access to the outdoors, is being transformed by people who recognize its potential. The Duluth of the 21st century has a new vitality. New businesses and industries are on the rise. 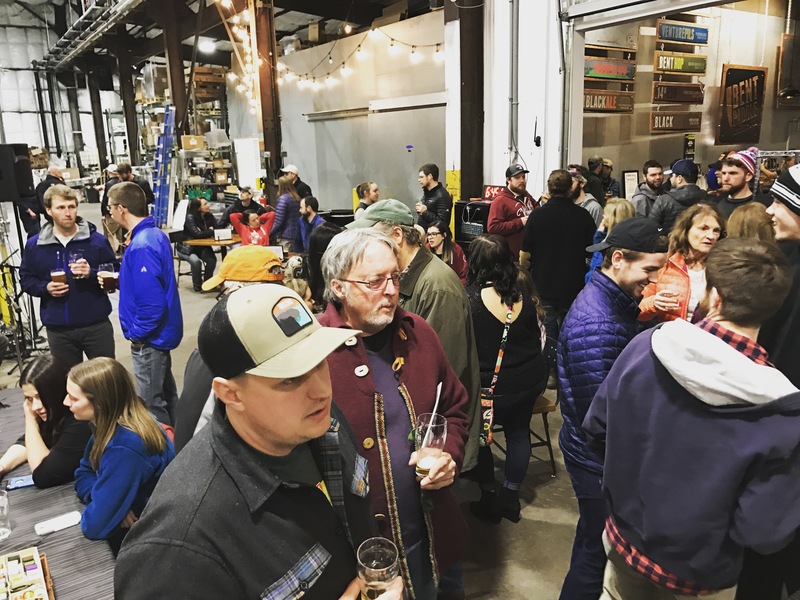 From craft breweries to a booming regional tourism economy to a flourishing creative scene, Duluth is the next place to be. The revitalization, it seems, stems from a yearning to be close to the woods and waters that make northeastern Minnesota unique. Recnetly named the "Fittest City in America" by Fitbit and the "Best Town in America" by Outside Magazine in 2014, Duluth's accessibility to the Boundary Waters Wilderness and the North Shore is second to none. But who are these people who don’t just pass through? Those who take risks by settling here, bringing along their industries and small businesses, and passionately advocating for our waters? Why have they come to Duluth, and more importantly for the future of this town, why do they stay? Many are converts--folks that made the choice to emigrate from the Twin Cities to Duluth, escaping the cities. Minnpost: "[Duluth’s] continuing vitality shows that successful cities are not just the preordained outcome of economic conditions; they are the creation of dedicated citizens who care deeply about the place they call home." Hannah Dittberner is the theatre and events manager at Zeitgeist, a community arts non-profit theatre and cafe. She explained that she never really felt like St. Paul was her place and often found herself in Duluth on weekends. The community felt accessible and the idea of starting her career in events and theatre management was much more appealing in Duluth rather than the competitive Minneapolis-St. Paul scene. “[There’s] so much going on here and everyone is giving an honest effort,” she said. Being in Duluth is relatively new for the Campaign to Save the Boundary Waters. 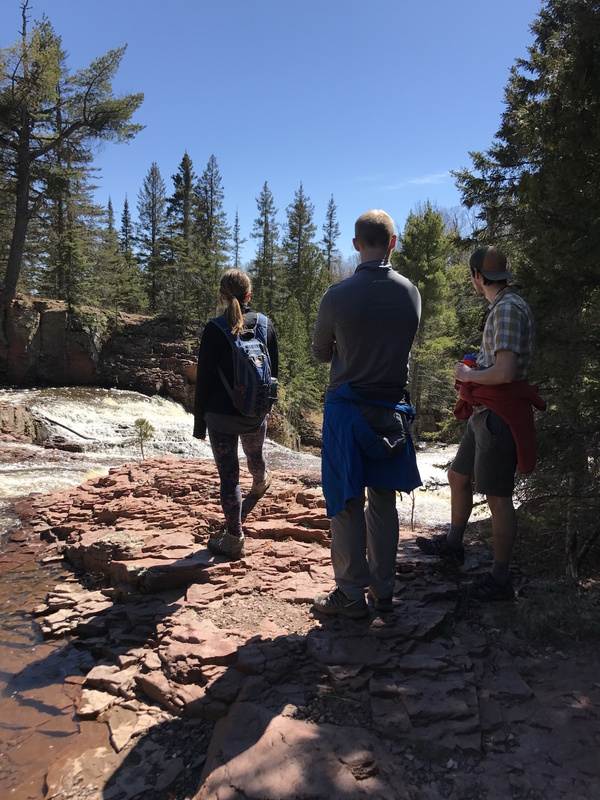 Northeast Regional Organizer Ingrid Lyons moved up to Duluth in the Fall of 2015, and Sportsmen for the Boundary Waters Outreach Coordinator Piper Donlin joining her about a year later. We deeply value having Campaign representation here because the Zenith City represents a unique intersection between the Twin Cities and Ely, with its own perspective and space for an engaged and entrepreneurial citizenry. The people and issues specific to this place are constantly pushing us as organizers to challenge our assumptions of what works and does not work in the world of advocacy--forcing us to go further, dig our heels deeper into this amazing community and look beyond the work day. Ultimately, it’s a place where you can make your voice heard if you believe you have something to say--where people will listen and where you can find the space to make an impact. It’s the sense of possibility and the people who are taking advantage of it that are shaping Duluth’s future, with the underlying premise that clean water will always be there to support them. These strong, sustainable foundations will surely carry Duluth forward, and we can’t wait to be a part of it. Those of us who live here are lucky to watch the creation of a sustainable economy built on tourism, arts, wilderness and clean water. We are willing to fight for the economy that flourishes because of this stunning lake and beautiful Wilderness area, not in spite of it. 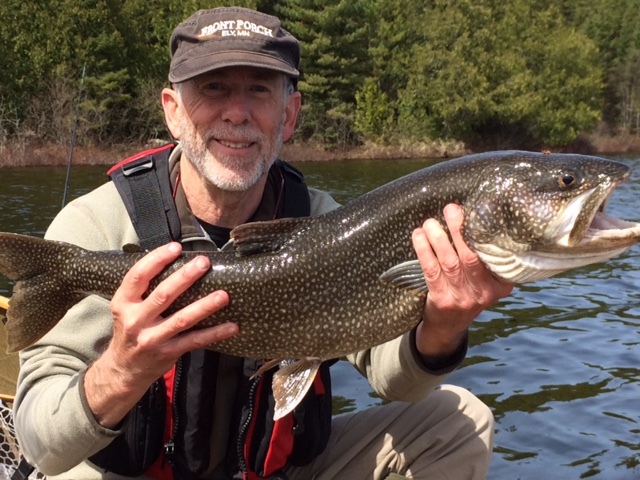 Piper Donlin is a native Minnesotan who has spent many years exploring the Northwoods and Boundary Waters. She works as the Sporting Outreach Coordinator for Sportsmen for the Boundary Waters. 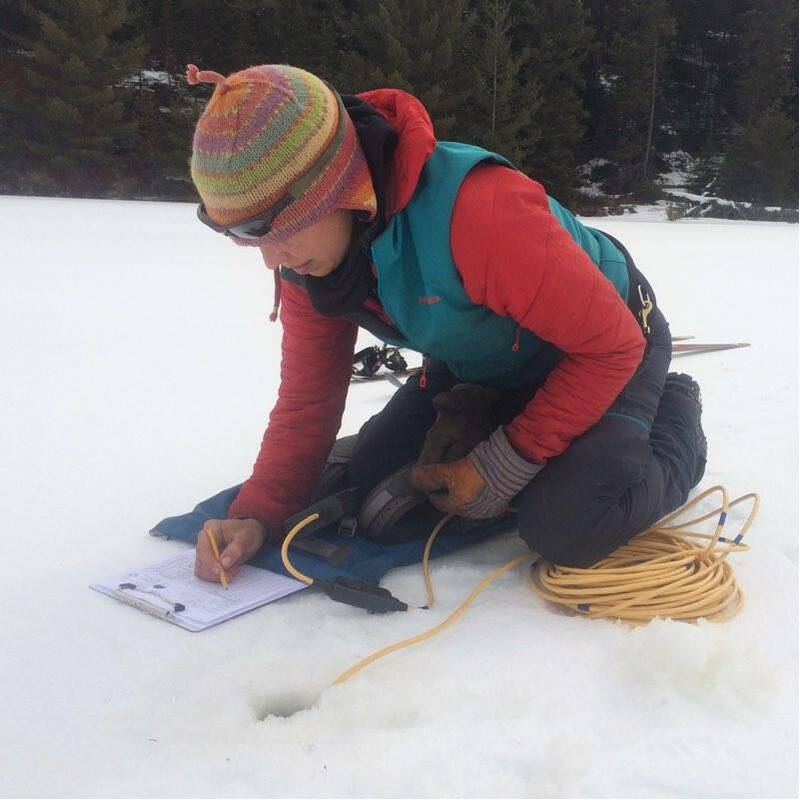 Piper received her master’s from the University of Oslo’s Center for Development and the Environment and attended the University of Minnesota where she studied environmental science, policy and management. Ingrid Lyons has been an expert at riding in the middle of a canoe since the age of 4. She was born and raised in the hustle and bustle of Brooklyn, New York, but always felt extremely fortunate to be able to escape to the Boundary Waters and surrounding areas each summer. Having graduated from Carleton College in Northfield, Minnesota, in June 2015 with a degree in environmental studies, Ingrid is excited to be working for the Campaign as Northeast Regional Organizer. Over the last year we have made significant steps toward protecting the Boundary Waters Wilderness from sulfide-ore copper mining proposed on nearby lands in the Wilderness’ watershed. Specifically, Twin Metals’ request to renew its mineral leases was denied in December and a watershed-wide environmental review was initiated by federal agencies on January 13. The comment period for this environmental review was initially set for 90 days, but has now been extended to August 11, 2017. To keep us on our path to gain permanent protection for the Wilderness, we need your help. Below we break down the importance of this comment period, all the recent news and how you can help. In our latest animation video, Path to Permanent Protection, we share an update on the latest actions taken to protect the Wilderness, the steps needed to gain permanent protection and where we are along this path. The environmental review of the Boundary Waters watershed is a critical step in this process, and has been used before to protect other special places like Yellowstone and the Grand Canyon. To learn more about the risks facing the Boundary Waters, watch our first animation video, Drawn to Save the Boundary Waters. 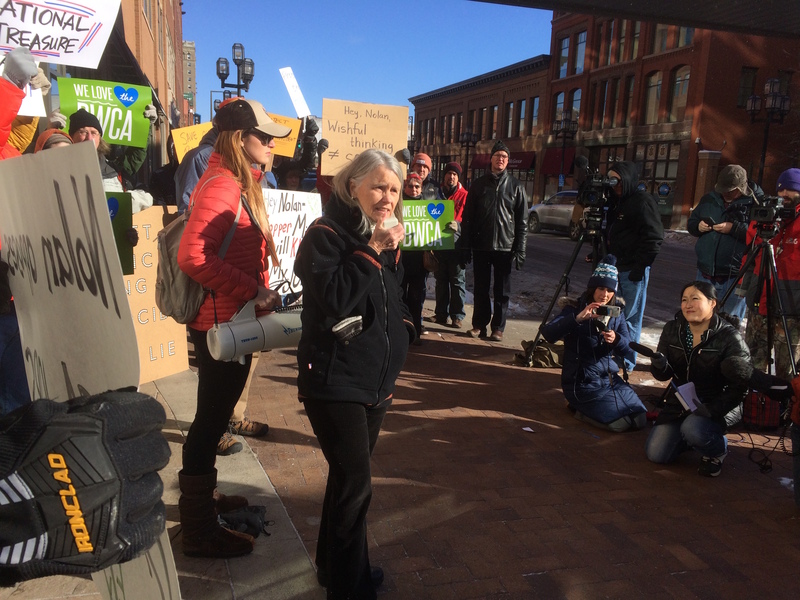 This past March, the Campaign and many supporters gathered in Duluth, Minnesota, for a Public Comment Hearing held at the Duluth Entertainment and Convention Center by the U.S. Forest Service, as part of the scoping process for the two-year environmental review. 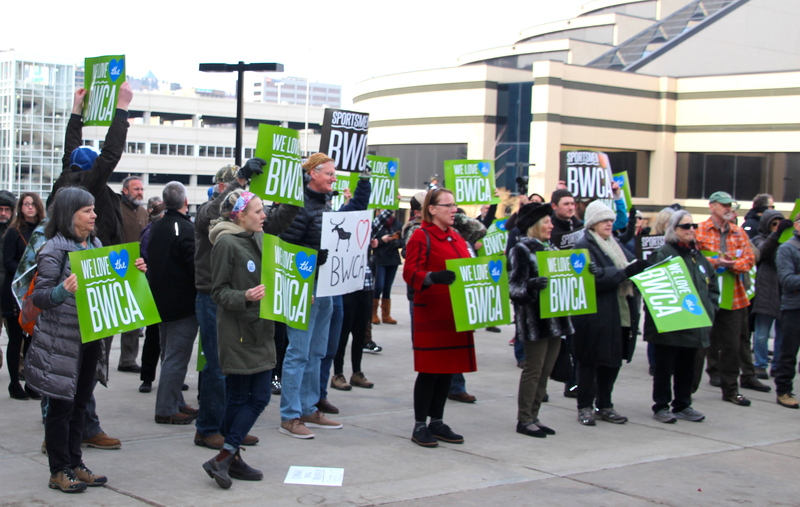 Before the hearing, we gathered for a rally in front of the convention center with “We Love the BWCA” signs, and speakers shared Boundary Waters stories and reasons for wanting to protect this unique Wilderness area. 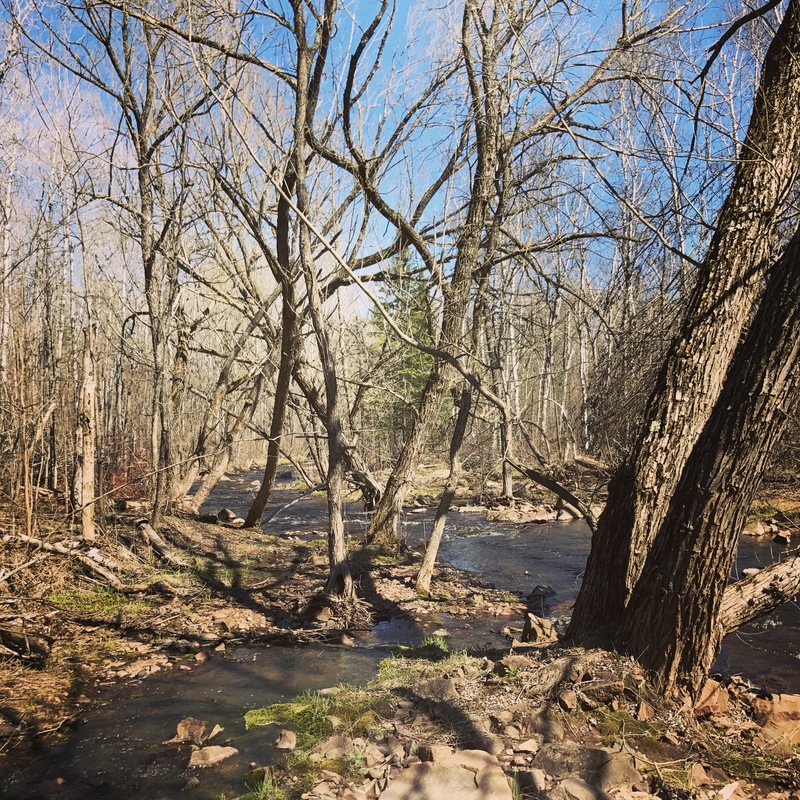 During the meeting, federal agencies heard comments from business owners, Arrowhead residents, Minnesotans who enjoy wilderness recreation, clean water supporters, and sportsmen and women. Speakers addressed issues like the tourism and outdoor recreation economy, the risky history of this type of mining, the damage pollution from sulfide-ore copper mining would do to the ecosystem and human health, and much more. The U.S. Forest Service also heard from supporters of sulfide-ore copper mining. More of these public comment hearings are being planned this summer in Northeastern Minnesota and in the Twin Cities. Stay tuned for the dates and locations of these hearings. At the end of January, Congressman Rick Nolan urged the U.S. Department of Agriculture “to reverse the agency’s decision to withdraw more than 234,000 acres out of multiple-use purpose from the Superior National Forest." 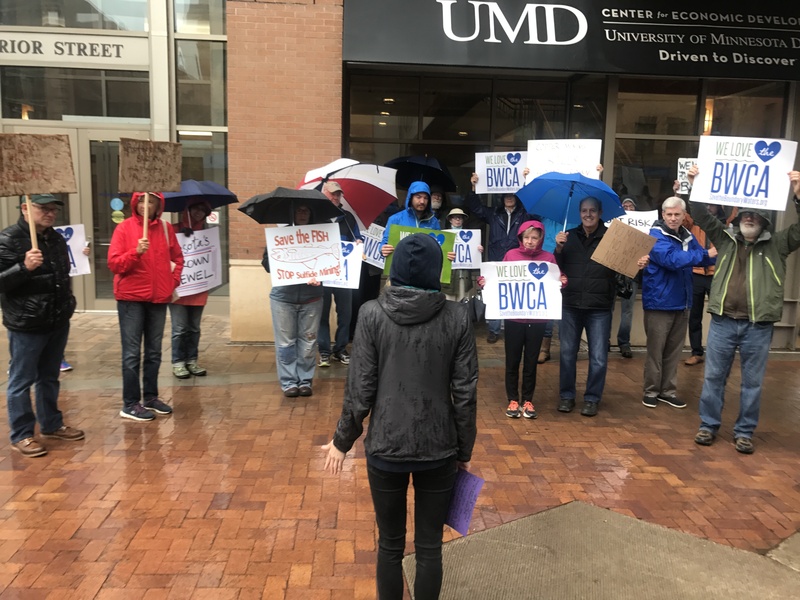 In response, the Campaign held an impromptu rally outside of the congressman’s office in Duluth. We asked supporters to call his office to speak up for the value of this environmental review and use science and public input to guide decisions about the future of the Boundary Waters. On April 26, Rep. Nolan met with Secretary of the Interior Ryan Zinke to seek support for renewing mining exploration leases for Twin Metals Minnesota. Rep. Nolan's action to halt this existing environmental review benefits a Chilean mining company at the risk of permanent damage to the Boundary Waters. We rallied outside of his Duluth office shortly after to again let him know we opposed his actions. In addition to our concerns about the impact sulfide-ore copper mining would have on the environment, we are also concerned about the history of the company proposing this type of mining at the doorstep of the Wilderness. The copper mining industry has a long history of acid mine drainage and heavy metals leaching with catastrophic environmental impacts. This risky type of mining has wiped out the water supply for rural areas and devastated fish and wildlife. Twin Metals Minnesota, a wholly-owned subsidiary of Antofagasta PLC of Chile, proposed four mines right on the edge of the Boundary Waters. Antofagasta, which owns several copper mines in Chile, has a concerning environmental and social track record. Plus, in a troubling conflict of interest, Ivanka Trump and Jared Kushner’s new landlord just happens to be Andrónico Luksic, whose family owns Antofagasta. On May 25, during a meeting of the House Interior and Environment Appropriations Subcommittee, Secretary of Agriculture Sonny Perdue confirmed the continuation of the environmental impact study on whether or not to ban sulfide-ore copper mining in the Boundary Waters watershed. Perdue told Representative Betty McCollum that he discussed the study with Interior Secretary Ryan Zinke and that they're going to let the environmental review continue and make no decision before it concludes. December 14, 2016: U.S. Forest Service explained it would not agree to the renewal of Twin Metals’ two expired federal mineral leases. December 15, 2016: U.S. Bureau of Land Management (BLM), which manages federal minerals on the Superior National Forest, informed Twin Metals that the company’s request for renewal of the mineral leases was denied. December 15, 2016: U.S. Departments of Agriculture and Interior (parent agencies to the Forest Service and BLM) announced they would bar any new mineral leases or mineral exploration on key lands around the Boundary Waters for two years, in order to study the Boundary Waters watershed and determine whether it is the wrong place for sulfide-ore copper mining. March 16, 2017: Public Comment Hearing in Duluth, Minnesota was held by the U.S. Forest Service as part of the scoping process for the two-year environmental review. April 26, 2017: Rep. Nolan met with Secretary of the Interior Ryan Zinke to seek support for renewing mining exploration leases for Twin Metals Minnesota. May 25, 2017: Secretary of Agriculture Sonny Perdue confirmed that the environmental impact study on banning sulfide-ore copper mining in the Boundary Waters watershed will proceed. We've made first steps on our short, medium and long-term goals for permanent protection of the Boundary Waters and its watershed from sulfide-ore copper mining. But there's still more work to be done. Short Term: Twin Metals Minnesota was denied the renewal they requested of its expired mineral leases. Medium Term: A 20-year administrative “withdrawal,” during which no new leases or exploration of federal minerals would occur withinthe Boundary Waters watershed. Long Term: Permanent protection of the Boundary Waters Wilderness by withdrawal of federal minerals within its watershed. Join us at upcoming events, like our Drink For a Cause: 2017 Canoe Country Cream Ale (re) Release Party at NorthGate Brewing in Minneapolis on June 21 (Facebook). It my favorite time of the year, spring in Minnesota! Almost overnight, the temperature rises 20 degrees, the leaves and flowers blossom, and everyone scavenges their garages to dust off their kayaks, canoes, bikes and skateboards to head back outside! For me, it’s my favorite season because spring means festival season. I moved to Minnesota two years ago from New York, and I’ve always been amazed at the amount of fairs, festivals, pop-up carnivals, expos, gatherings and general outdoor activities that people can enjoy here. It feels like every day I’m writing down a reminder about new fair or trip that I need to take (and then inevitably kicking myself for having missed something great). Nothing encapsulates Minneapolis spring quite like the In the Heart of the Beast MayDay Parade Festival! 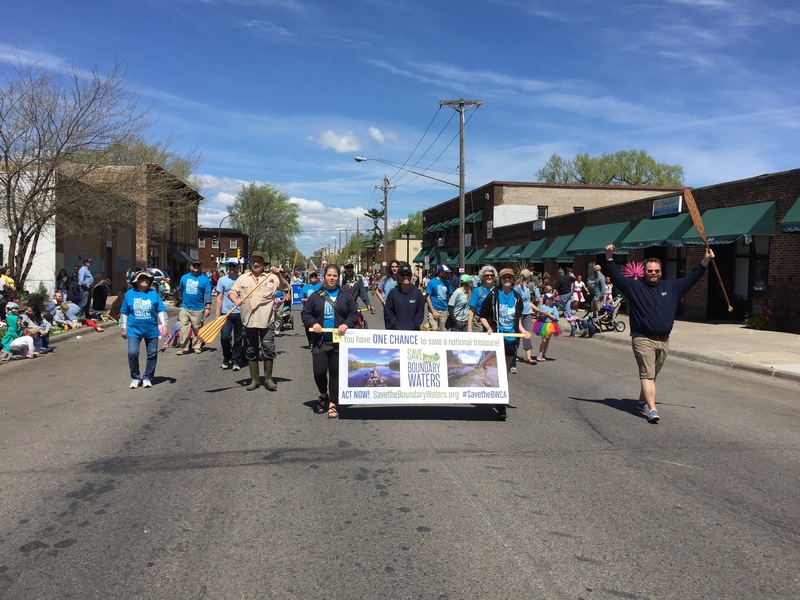 Maybe it’s a part of Minnesota’s rugged outdoor history, or the do-it-yourself culture, but MayDay combines all of the community activities with that almost outdoorsy feeling of nature in the heart of the city. WHEN: This Sunday, May 7, 2017, meeting around 11:30 a.m. TIPS: Come dressed in your finest outdoor garb! Wear a Save the Boundary Waters shirt if you have one, or bring a paddle to wave. Come look for us in the Parade or at the MayDay Festival. It’s the inaugural kick off before we all pack our canoes and head up north! Looking to join us this spring at other events. We’re sure to be at Open Streets and festivals all around the Twin Cities and up north. Here are a few more events where you can find us this spring. And check out our events calendar for even more this spring and summer! A native of New York, Regional Organizer Chris Donato is no stranger to outdoor adventure, like hiking the Catskill Mountains, and now exploring the Boundary Waters and the North Shore here in Minnesota. Chris spends his time on the Campaign working with awesome volunteers at our many events, helping with the brewing of Canoe Country Cream Ale and more. 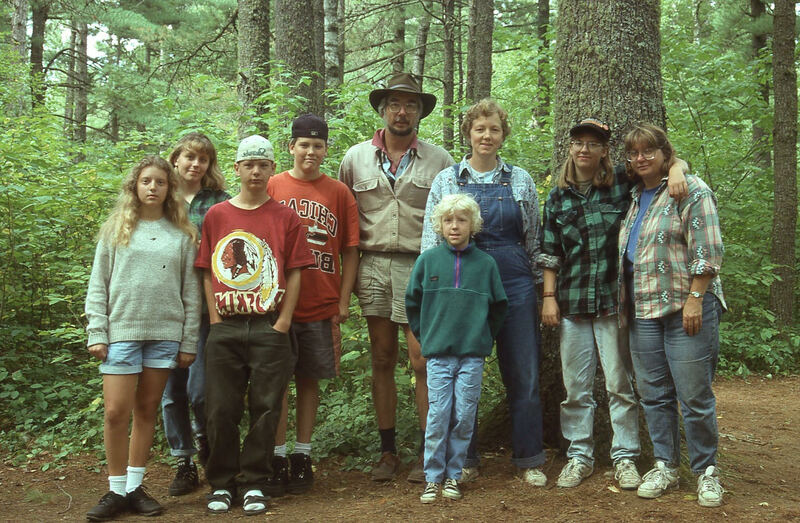 Dean Anderson was assistant chaperone on a 1995 Boundary Waters youth group canoe trip from Our Redeemer Lutheran Church in Minneapolis led by Rev. Keith Olstad. The youth ranged in age from 11 to 17 years old, including the our own Deputy Campaign Manager Samantha Chadwick, age 11-years-old at the time. 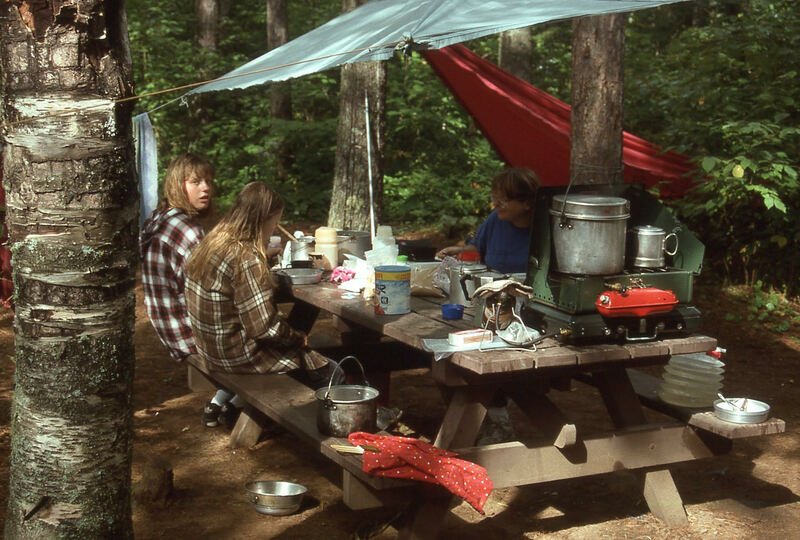 Anderson had a fair amount of camping experience, and Olstad had extensive outdoors experience, particularly in the Boundary Waters. Flashback to 1995 with excerpts from Anderson's notes about their trip. Do you document your trip with notes? Liz said Samantha and her were up before Keith and I who got out of the tent shortly before 7:00 a.m.
Breakfast of eggs, fried bagels and pseudo-orange juice. Liz, Samantha and Nick tried fishing at the canoe landing. No luck. I found out I probably brought the wrong sort of lures: no Rapalas. “Training” paddle out to campsite near the portage to Smoke Lake. Lunch there. 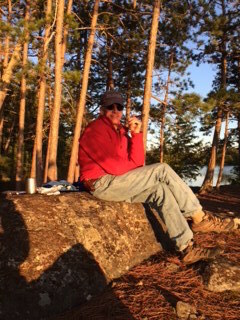 Paddled back to island on Boundary Waters' border for swimming and fishing, I lost a spinner and a hook to snags. Waited for half our crowd to go see obligatory video, the viewing of which was required to get our permit. 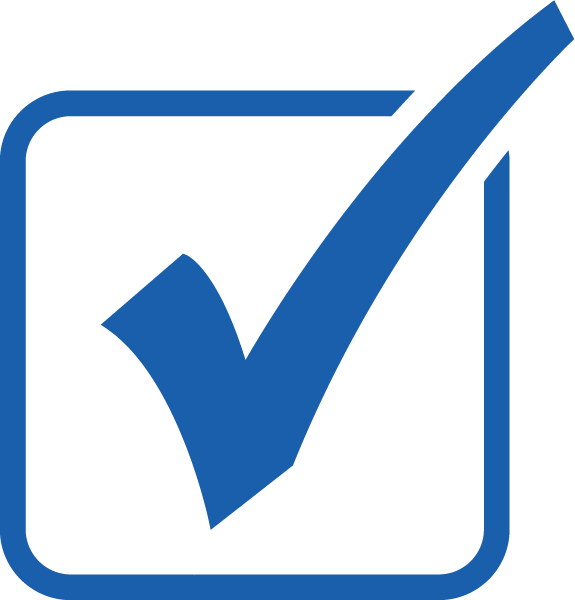 There seemed to be some mixup in our paperwork, but a phone call or two straightened that out. Crunchy bean chili for supper. Dean and Nick fished on one canoe. Caught nothing. Keith, Liz and Sam fished in another. Liz caught a 12 inch northern. Played card games and read around lantern. Hot granola and fish for breakfast. Most had little or no fish, some had a lot. Sarah never got out of bed for breakfast. Skies lowered, threatened rain. Rain fly erected with 7-foot birch staff found yesterday as center pole. Canoes pulled on land and turned over. Packs covered by tarp. Little by little, a slow, steady rain fell and wind continued to blow. Campers took to their tents. Trail lunch under rain fly. All ate eagerly except Lisa, who stayed in her tent and allowed her portions of sausage and cheese to be “horse and goggled.” All returned to tents except Nick who tried a few casts. After a while, everyone was in the tents. Gradually, the rain tapered off and later stopped but the ESE wind continued. Liz and Samantha got bored and wandered about. Dean showed them the ancient graveyard of pygmy mammoths. Keith showed them the home of a tomte and told them about the spirits of Cache Bay in Saganaga Lake. Dinner: fettuccini, biscuits and more spuds. Stoves burned out and added to the prolonging of our late dinner. Dish washers worked by candle and flashlight. Some more rain at night and some high gusts of wind. Up earlier than usual to make sure we’d make it to our base camp in time. Once again, like yesterday, Liz and Samantha almost missed breakfast. Took so long to pack. Partly sunny. Shirtsleeve weather, breezy. Up earlier than usual to make sure we’d make it to our base camp in time. Paddled about one-quarter mile straight across the lake to our first portage to Burnt Lake: 227 rods. The kids were frequently confirming the lengths and number of remaining portages. Keith told story of his “finest moment:” pulling a prank on a couple of his fellow canoeists during an expedition with his mens' group. Ninety-three rod portage to Smoke Lake. Some trouble finding last portage to Sawbill Lake; obscured by reeds. Eventually found channel through reeds. It ended about 10 yards short of solid ground; muskeg kept us from floating right up to it. First canoe unloaded and carried packs over nearly hidden logs laid in muck. Nick slipped into the slop up to his knee. Dean pulled empty canoe to small pool at shore. Keith carried his canoe over muskeg and log route, slipped on a slippery log and got one leg into muck up to his knee. Lunch on island at boundary of the Wilderness on Sawbill Lake. Not much interest in swimming. Paddled to landing about 1:30 p.m. Got vans, loaded them. Final visit to outfitter’s store. Depart about 2:30 p.m. Stopped at Sturgeon Lake for gas and Tobie’s (Hinckley exit) for pizza. Back at church at 8:30 p.m. Took packs to large upstairs room where we erected tents and draped packs and tarps over chairs to dry them out. Canoes carried to outside the nursery. Two years ago I went on a life changing expedition that gave me life again. 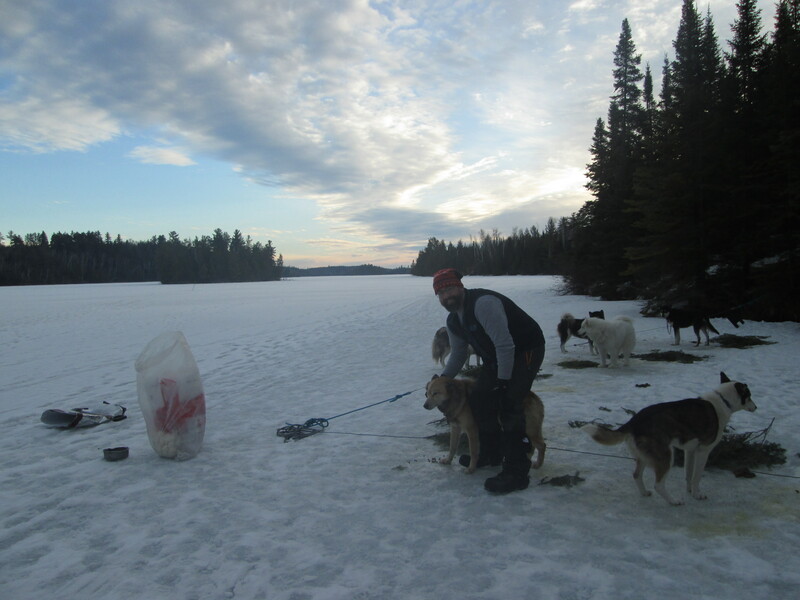 It was an eight-day dogsled and cross-country ski expedition with Voyagers Outward Bound School (VOBS) veterans program in the Boundary Waters. This expedition sent me on a new path that made me want to engage with life again. At the end of the expedition, I realized that I was capable of so much more than what I had previously thought, and that I was not just damaged goods. After the trip, we learned about the dangers facing the Boundary Waters from proposed mines in its watershed. I could not stand by. 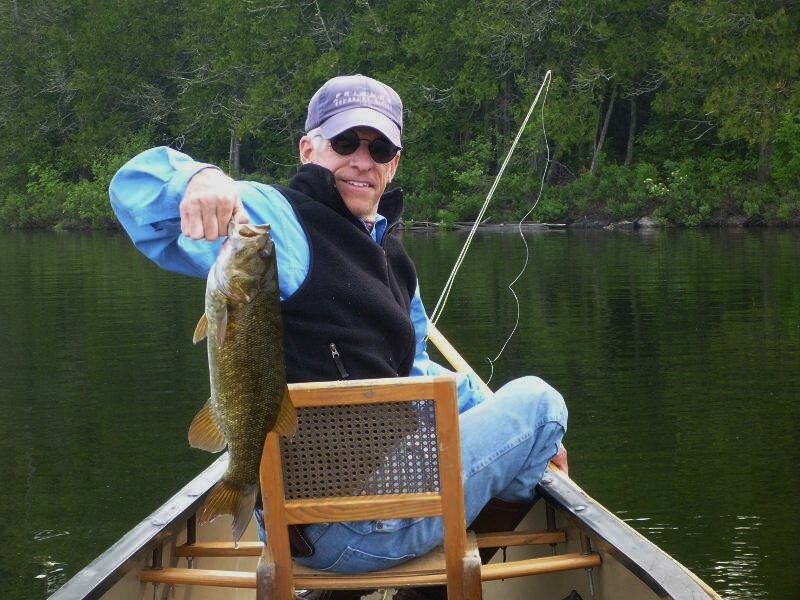 To share my story and connect with other veterans who have similar stories, I founded Veterans for the Boundary Waters, partnering with the Campaign to Save the Boundary Waters and Sportsmen for the Boundary Waters. I did this with hopes of showing what would be lost should the sulfide-ore copper mines be allowed to proceed. Throughout the two years as I shared my story, I wondered if I would ever go back to the Boundary Waters during the winter. 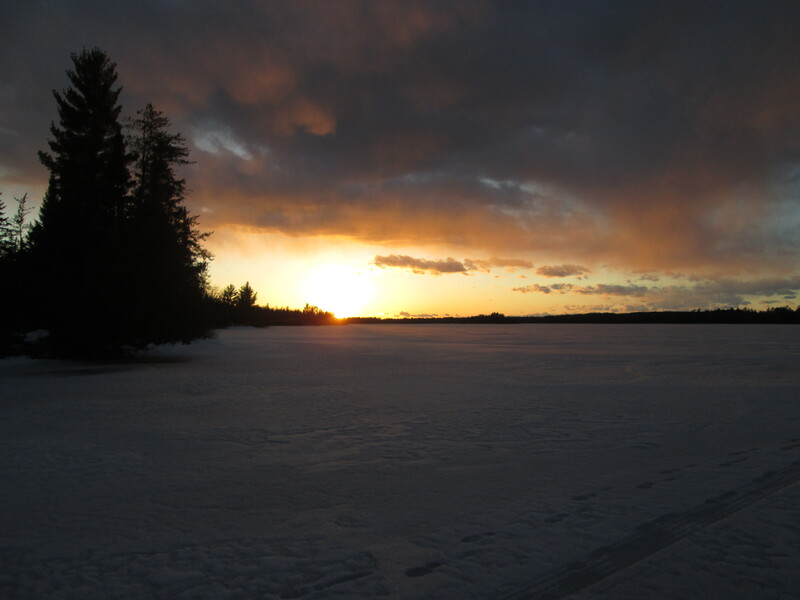 There is something truly special about winter in the Boundary Waters. It gives you the space to look deep into parts of you that have been neglected or dormant. I really wanted to go back and see what I would learn about myself when I was not battling my own mind. That is when I was offered another chance to go on a VOBS veterans winter expedition. I was going on an adventure! When I arrived at VOBS, Bud, the director of winter expeditions, told us that for the first time ever VOBS would be combining a Veterans course with an adult course. I met the only other veteran that would be on the trip--Doug Kelley, a Special Forces Officer who severed in Vietnam. Kelley, I would later find out, is the kind of guy that Chuck Norris would have a poster of on his wall. I wasn’t sure how this was going to work. So many opposites would have to work together in harsh conditions on one of the hardest courses that VOBS has to offer. The divides we would have to overcome included generational--we spanned the baby boomers, Generation X and millennials. 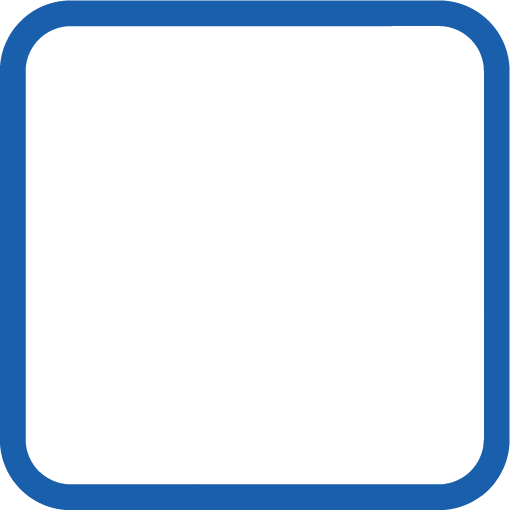 I couldn’t see an overarching connection that would unite us all. My failure was I did not realize the experience itself would unite us. Once we had gathered, the expedition started out the same as all of them do: classes on what to wear, how to solve gear issues, how to sleep on ice in the winter and how to set up our tents. We spent the first night on the ice in front of VOBS to help acclimate us to the cold. Before we climbed into our sleeping bags, we did some cross-country skiing on the lake to warm up. There was a moment that night when everyone shut off his or her head lamp and just looked at the stars. Those who had never been to the Boundary Waters before could not believe all of the stars that were out. While standing there in the quiet with nothing but the stars, I realized it was the first time that we felt connected as a group. The Boundary Waters has way of doing that, just a few quiet moments when you stop and look to see all that is around you. The beauty and stillness connects you to something greater than yourself something--it's intangible. In this moment, I could see the connection start in those that had never been there before. The next morning, we packed our sleds and headed to the entry point. There is always a nervous tension in the air as you are about to embark from the entry point into the Boundary Waters. It is the excitement of what is to come, mixed with the fear of the unknown that comes in the phrase, “I guess we are really doing this!” For those who have never been on ice before, the question is always, “Is it really safe to step out on the ice?” Then comes the most terrifying step--the first one. We all took it and stepped out on to the ice. Despite all of our differences, we were going to live and work together in the wilderness for seven days. To be honest, I was not sure how it was going to work. It did work. With each passing mile, task and night, it became clear that despite our differences we could relate to one another. As we gathered around a campfire each night to share our thoughts on the day, it was easy to find ways to relate to those we thought we had nothing in common. One night there was a conversation about how to train for a marathon, and several in the group wanted to run one. One of our instructors turned to Kelley and asked if he had ever run a marathon. Kelley replied, “I have run about 28 marathons; they are good training for hard climbs I have done, like Everest or El Capitan.” Everyone's jaw dropped and that was when the younger members realized they had a lot to learn from him. Although, it was not all smooth sailing. During the coldest day with the highest winds, the dogs were not cooperating. There was also tension over who would be chopping the rest of the firewood. However, the instructors’ guidance and an excellent meal eased all the tension. The real breakthrough came the morning after solo. Solo is our chance to go out to our own campsite with the skills we have learned and put them to the test. It is also a time for us to reflect. We reflect on where we are going in life, what we have done and whatever else we would like to reflect on. It was during solo night on my last trip with VOBS when I found peace--a peace that never made me think again that taking my own life was a solution. During my solo on this trip, I thought about how far I had come from that first solo, and I thought about the Wilderness that I was now trying to protect. The Boundary Waters in winter is far quieter than in summer. The only real sound is that of the wind. It's not like any park or recreational site you may find elsewhere. It’s a true Wilderness that gives you space from modern life to truly reflect and look deep into yourself. This is why so many who do solos or have been to the Boundary Waters come out different and more in-tune with what is important to them. The next morning I decided that I would share my story with the group: how I came to this point in my life and why I am now better. After I shared my story, the others shared their stories. Even though we all had very different backgrounds and very different life experiences, we related to each other. It was a moment that I do not think could happen under any other circumstances. After that morning, we had one more day of travel. During our final fire conversation, even those who did not talk much before were having great conversations about the trip and their future plans. Kelley shared which schools taught mountaineering, the first time campers planned their next camping adventures, and I reflected on how far we had come. In terms of distance, we had only done about 27 miles. In terms of coming together to have a successful expedition, we had come so much further. The way the VOBS ran the program combined with the Boundary Waters itself allowed us to bridge gaps that many in our society may think impossible. In one week, all of the generational labels were swept away and we worked together as a group. At the final graduation ceremony, Kelley summed up the the feeling of the expedition the best. He said, before the expedition he was worried by what had been going on in our country, but after working with the 18-year-olds on this trip--he thought America would be just fine! I always knew that the Boundary Waters was very special, but what I learned on this expedition is that the human potential that surfaces from a trip like this is far more valuable than any mineral that can be ripped out of the earth. --> Read about their trip in the Timberjay or listen to Erik's reflections on WTIP Radio. 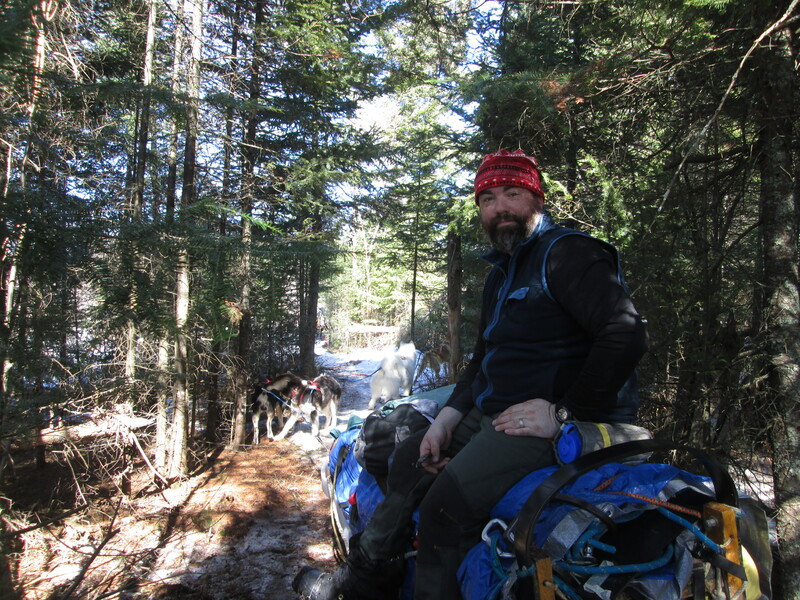 Erik Packard is the founder of Veterans for the Boundary Waters. 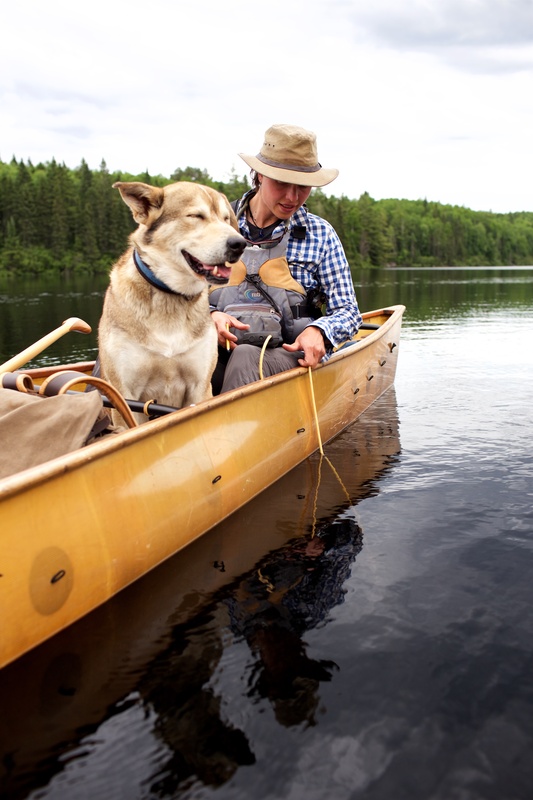 He has been going to the Boundary Waters his whole life, with his family first taking him as an infant. In 1996, at the age of 17 years old, he joined the United States Army. Packard served in the United States Army Reserve for 14 years and served two combat tours in Iraq. After his last tour in Iraq, he began suffering from post-traumatic stress disorder and depression. 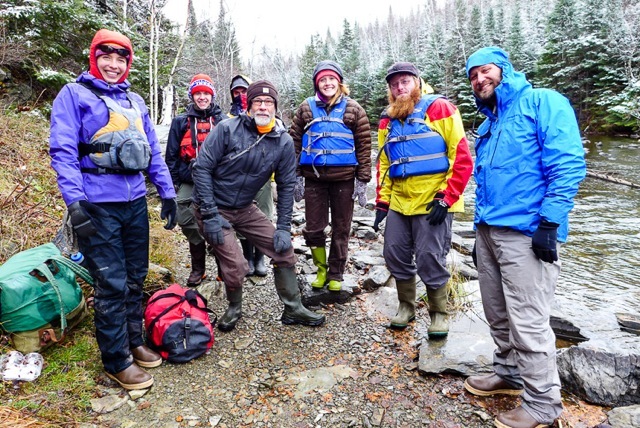 After many treatments, he discovered Voyageurs Outward Bound School's program for veterans. After his trip with VOBS, Packard began fighting to protect the Boundary Waters from proposed sulfide-ore copper mining and has been sharing his story to help protect this Wilderness.